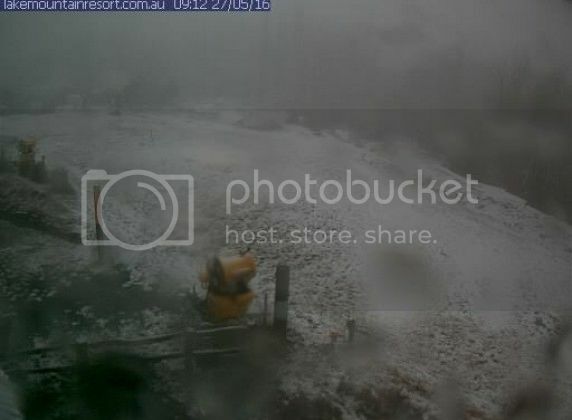 So ..................... they start snow-making at Lake Mountain this coming weekend. That should ensure a good cover for snow players and the ski school for opening weekend (11th to 13th June). currawong, ladycamper and FatBoyDave like this. It'd be great if they could snow make on the lower trails. I had a great time there last year introducing my daughter to the other type skiing. You mean the original form of skiing? Hoping it's a good year it's one mountain I haven't seen yet. Yeah, they have only had ski lifts for a relatively short time. I think downhill skiing is a bit like water skiing, if you haven't got some sort of mechanical tow, you just can't do it! so in a way it is really an artificial sport, isn't it? I know it's called Lake Mountain (after a Mr George Lake), there is no lake and not really much of a mountain! however, it is a great place for XC when the conditions are good. I was there last year when it was snowing and I swear it was almost powdery! I mostly do XC these days though can still ski downhill well when I have a clear head. 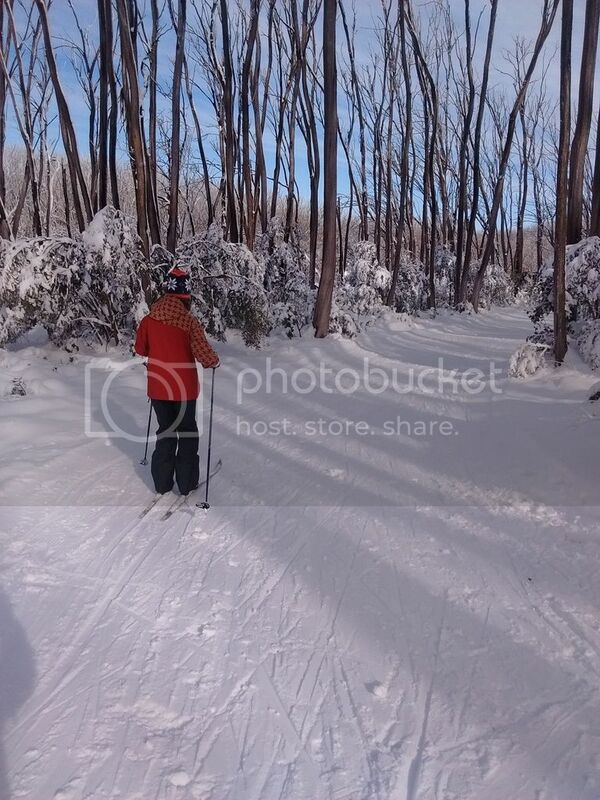 Not too much downhill there, mostly track skiing among the gum trees, or what's left of them. I notice that LM entry is now $56 but good news for me is that seniors are $30 midweek. I am sure it was full price every day last season. Is ski patrol operating everyday because I think on Mt St Gwinear it's mostly weekends only. Ski patrol advertising for volunteers according to a notice at EMC. Would consider it but have not got the First Aid qualifications. Others might be interested. Free entry, I believe. That's right Chris, but you're just as likely to be rostered on to patrol the toboggan run when you're on duty. That said, someone who should know said that many of the ski patrollers there can't ski for nuts, so you might have a better chance of being out on the trails. A headups on entry this year. Mountain entry cannot be purchased at the bottom of the mountain. You must purchase on the mountain. (unless you purchase one of their tobogganing packages or a learn to ski package). The quickest way to get through the queue is to pay cash, not by card. Weerab, they discounted seniors by only a dollar or 2 last year. I felt that was an utter insult to those more senior like us. This year it's so much better. So I was correct in saying that there was no real midweek seniors discount last year? It was a bloody insult wasn't it? I met an old guy a few years back and he said he was on a pension but still skied LM once a week as he could still afford it. There was a discount at the time and he was driving up from Hampton or somewhere like that. Makes sense to offer a seniors discount midweek as they are obviously available and not necessarily flush with cash. There certainly was Equus. 27th May 2016. First snow of the year. It's only been a few decades since I visited LM, but the mention of the $56 entry (!?) prompted me to look at their site. Lake Mountain all done growed up! I had no idea it had changed so much. So it's now Lake Mountain Alpine Resort? And it has snow packages- Family Snow Play Package for $137 - car entry, toboggan hire and lunch for 2 adults and 2 kids. 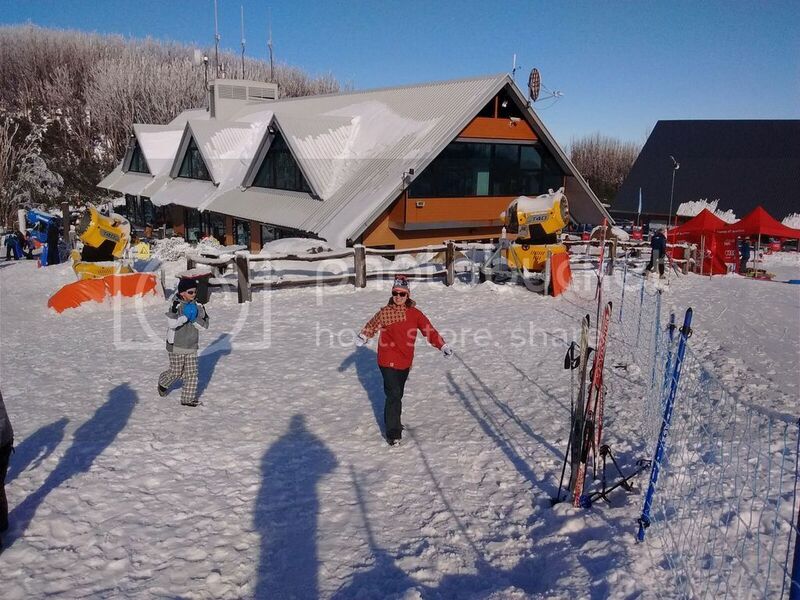 Winter Wonderland for $375 - car entry, toboggan hire, ski hire, food voucher + lesson for 4. Or a Beginners Ski Package. I heard they brought in Belgravia Leisure a few years ago to run things. If this works it's a great pipeline for future skiers. Starting at Buller/Hotham/Perisher/Thredbo/Whistler is a bit intimidating and expensive for many. edit - I just searched "Belgravia" and see that they, and their capabilities, are a sensitive topic. The state government in its infinite wisdom dumped Belgravia. So it's back to the board running the show - in fact it's a board shared with Baw Baw. Hasn't changed that much as far as I can tell! But but but they are evil. Throwing a tantrum with your first post? What's wrong? I think it's a yeti doing a happy dance? See you then i hope ! Should be on, if the current forecasts are close to accurate. Hope to get up there soon myself. 6cm, but it looks like more, and certainly would be on the ski trails. Should be lovely on Sunday. Looking forward to seeing you. Yes I assume that the trails will be skiable to some level , I'll confirm tomorrow morning but will see you misty mountain on Sunday morning! official report saying 10cm , no grooming yet on trails but suggesting full cover /? Yep looking pretty good for the weekend at Lake Mountain. Get up there folks! Wondering if there's snow at mt Margaret today? Planning to visit with our dalmatians but don't want the trip to be a waste. Take towels, and make sure you have snow chains. Great snow today _ has stayed in very good condition. A little thin in a few spots but all obstacles easily avoided - well worth a visit. currawong, Froff Life, Equus and 2 others like this. LM is looking good. When it is covered in fresh and dry snow it is worth a day up there for sure. The Boundary Hut ruins trail is my favourite up there in white season. Great to see @skimax and family too. Snow was dry and cover was very low down the hill beyond the entrance road turnoff . Great sunny day , will be back soon. Conditions looking good. Can't help wondering, though, why the cam showing the trail head is titled 'Car Park'? As long as I can get a snow cam that isn't of the 7/ 11 slurpee ice that they dish out for the tiny tots at LM then I can get a decent idea of the conditions. Conditions are great , snow is holding up really well cause the temps everywhere are cold !! Unreal how the snow lowdown is still on the trees due to lack of wind, then lack of sun held it there . Snorkler, Mister Tee on XC Skis, teckel and 1 other person like this. Wow, the coverage looks heaps better than I imagined it would be.